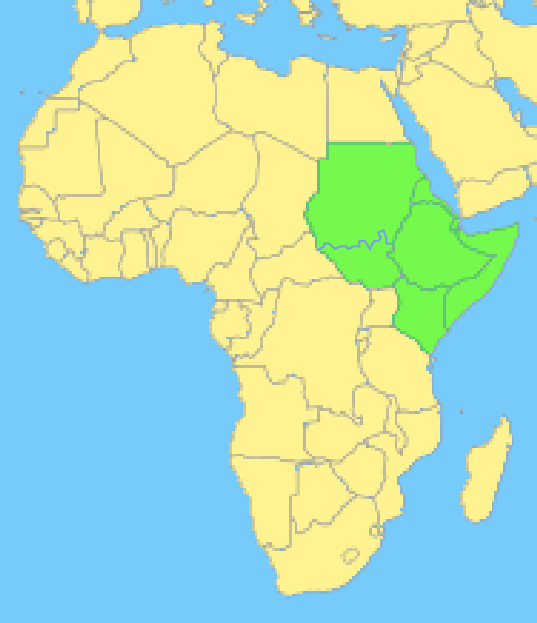 The Horn of Africa includes the countries of Djibouti, Eritrea, Ethiopia, Kenya, Somalia, South Sudan and Sudan. It is a region of incredible diversity, intriguing histories, and profound human creativity. Simultaneoulsy it endures major ongoing conflicts, complex humanitarian emergencies, and devastating environmental degradation. The Horn is also a region of strategic importance to the United States given concerns about terrorism and with our nation's intention of promoting democracy, human rights, economic and social development. This web site, which incorporated our Understanding Sudan site in 2018, provides materials for educators to support teaching about the Horn with a focus on three themes - environment, managing conflict and youth.